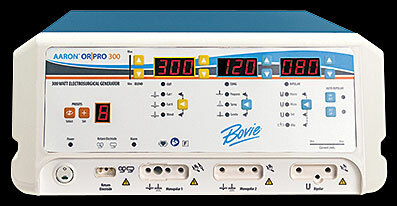 Bovie introduces the Aaron® OR|PRO 300 Electrosurgical Generator. The system was designed in conjunction with OR clinicians to provide a safe, user-friendly generator to meet all operating room procedure performance demands. This innovative energy-based device offers 13 modes of surgical energy delivery. Special modalities include the advanced Bovie Bipolar, Auto Bipolar options and special Laparoscopic modes. These modes were included to assist surgeons in tailoring all electrosurgery needs for their variety of surgical applications and user preferences. Bovie Bipolar is a pulsing coagulation for quick and powerful coagulation of tissue. The pulsing performance can be tailored specifically to achieve the optimal surgical effect. The feature is compatible with Bovie’s Micro, Macro & Standard Bipolar modes and can be set to surgical preferences for critical procedures. Auto Bipolar offers immediate and simplified tissue coagulation with minimal tissue damage. This feature automatically activates, coagulates and deactivates for precise tissue coagulation and eliminates the need for a footswitch. This feature is compatible with Bovie’s Micro, Macro and Standard Bipolar modes and can be set to surgical preferences for critical procedures. The Aaron® OR|PRO 300 recalls the last used power and mode. The unit's user preset can recall up to 10 presets and up to 6 bipolar output preferences. During all activations, the power can be adjusted up or down in variable steps, giving surgeons more control at the surgical site. BovieNEM™ - This return electrode contact quality monitoring system is designed to minimize patient burns at the return electrode site. 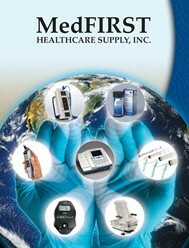 A visual Ammeter indicates real time current (mA) flowing through the patient.